The evolution of Gold has been magnificent to observe. As they have matured as human beings, their sound too has evolved – gracefully and ambitiously. Although they have shed the skin of their early days straight up rock numbers, their roots are still visible in more recent musical missives. A brain-scrambling riff here and there can still be detected amongst the shimmering sparseness of their self-described “post-everything” sound. Whilst there is the sense that they are on their own exploratory mission to push the boundaries of genre and to unpick the fabric of what makes music music, what they are creating is worthy of an audience. Their audio experimentation is an alluring, side-eyed challenge – all in the best way possible. With that ever-growing maturity of sound, they have learned to enjoy the silence as much as fill the void. It takes some confidence to revel in the gaps between sound, but Gold have truly nailed it. A band full of interesting juxtapositions, of sonic textures rubbing against one another; Gold have caught the attention of pioneering musicians and tastemakers alike. If they’ve evaded your eyeline so far, it’s time for that to change. That they have been in the studio recently (with renowned producer Jaime Gomez Arellano) fills us with joy. 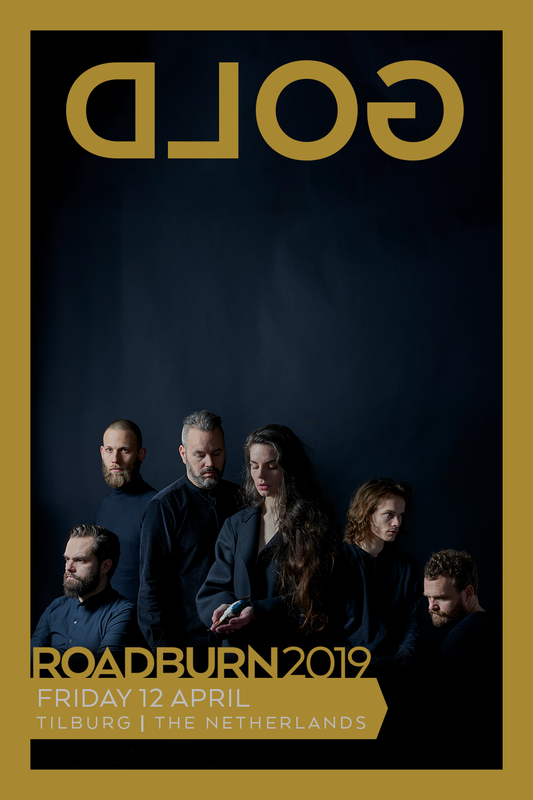 An invitation to Roadburn 2019 was mandatory – and made all the more glorious by the news that they’ll be presenting music from that new – as yet un-named – album during their set. Until Roadburn is upon us, and indeed, until this new album drops, wrap yourself around the melody-drenched heaviness of previous albums, No Image and Optimist, in preparation.